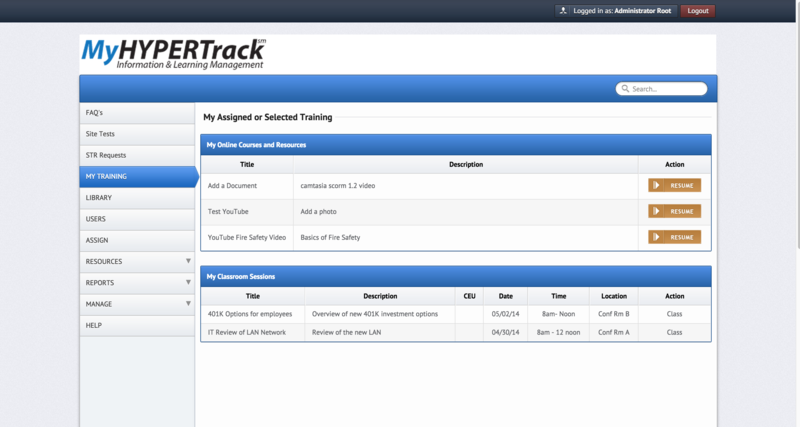 MyHYPERTrack is our web-based Learning Management System that delivers and tracks any type of online or classroom training as well as written documents. Developed and refined over the last 11 years, the product is field proven and provides a robust and stable global learning platform for one employee or thousands. 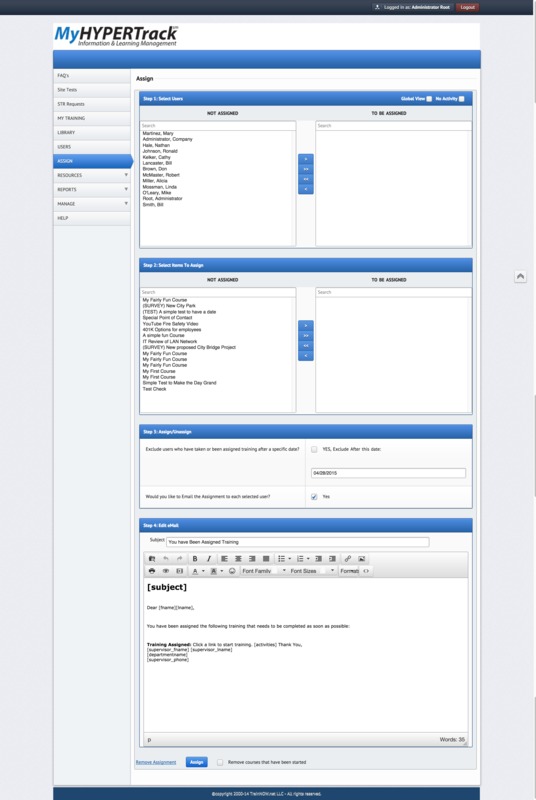 The intuitive interface is simple to learn and use, and the task-based design makes training management quick and easy. 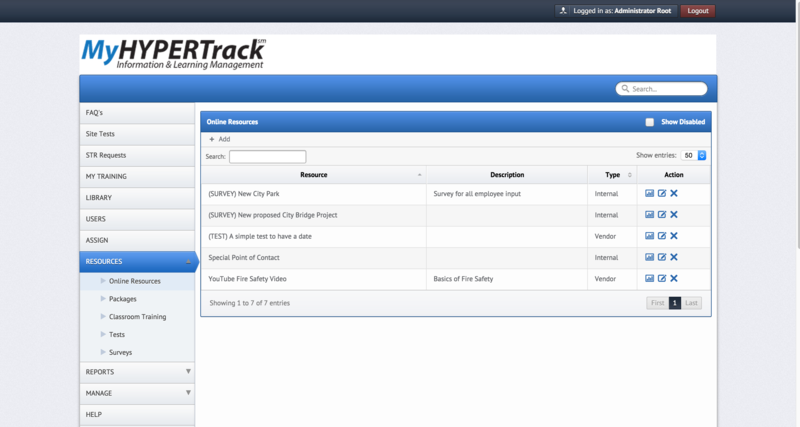 MyHYPERTrack is setup quickly and ready to use in about 30 minutes instead of the usual weeks or months common with our competitors. 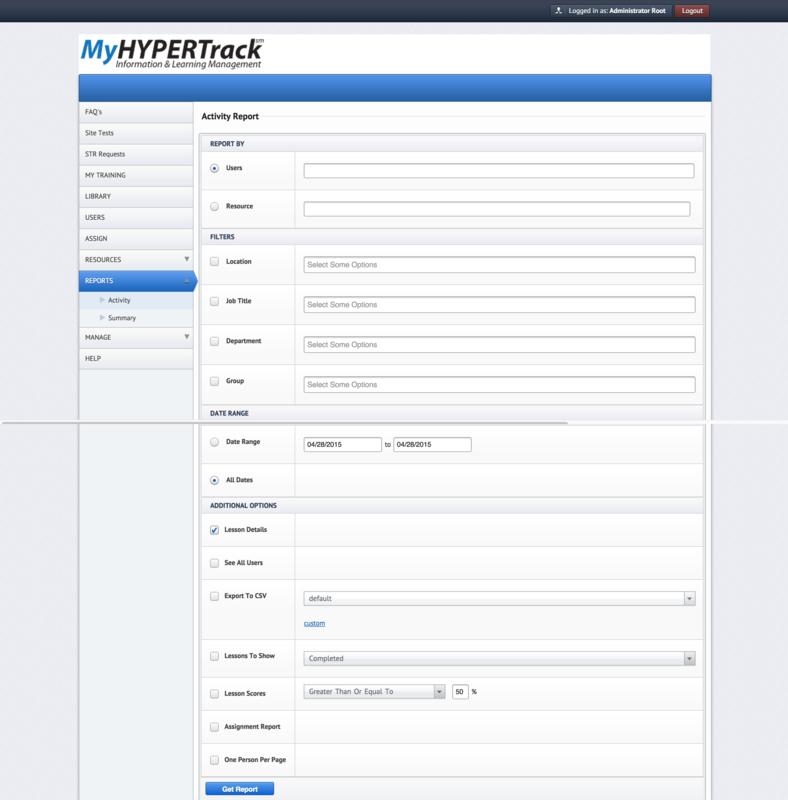 Unlike other products, MyHYPERTrack can be purchased as a monthly or annual subscription service on our cloud servers or purchased outright and INSTALLED ON YOUR OWN INTERNAL SERVER. Classroom sessions and Off-site Training. With the included Testing and Survey Tools, you can quickly and easily create and publish online tests, assessments and surveys that automatically deliver, score, and database the results. From pre-sale to ongoing technical support, TrainNow.net’s customer service and support is with you every step of the way because we believe that “Your Success is Our Success”.